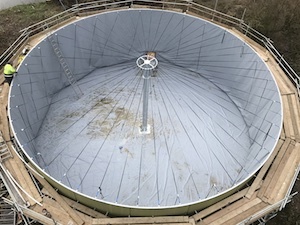 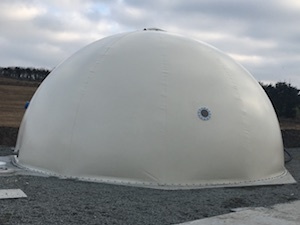 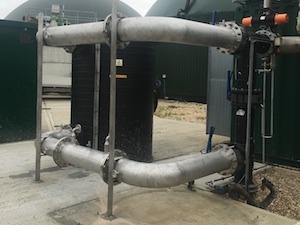 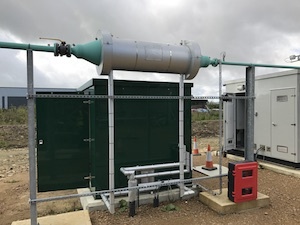 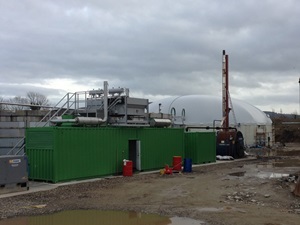 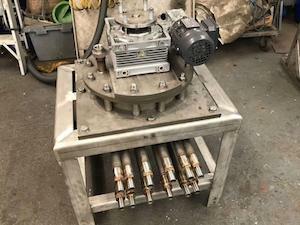 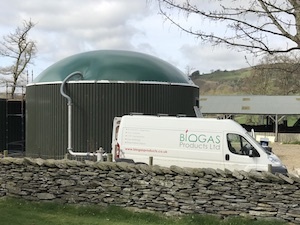 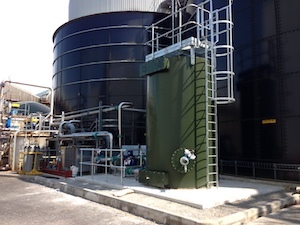 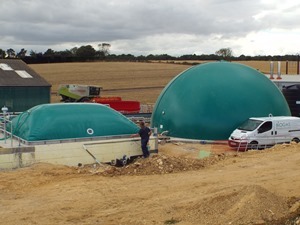 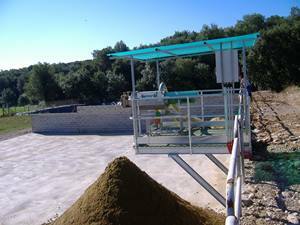 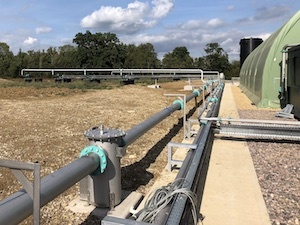 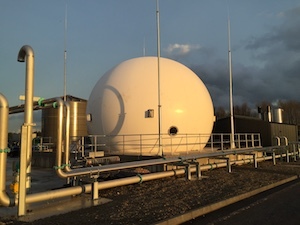 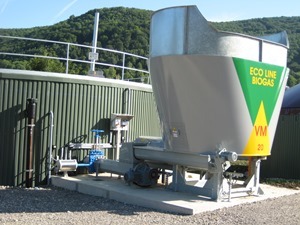 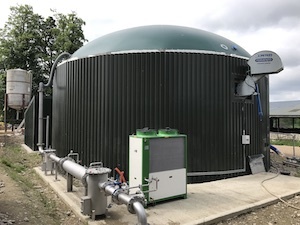 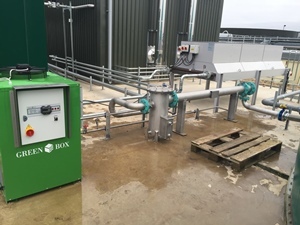 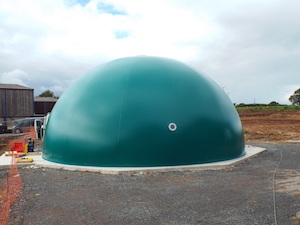 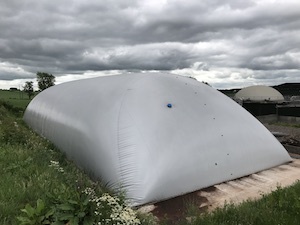 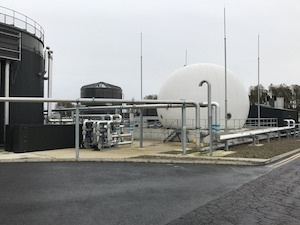 Biogas Products designed and manufactured a condensate pot with a pumped condensate outlet and level probes for pump control. 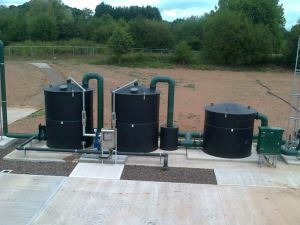 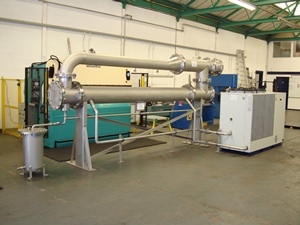 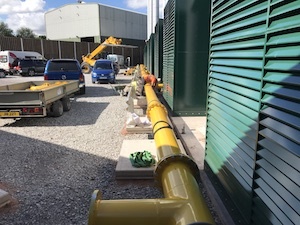 All equipment was to be suitable for a zone 1 gas area. 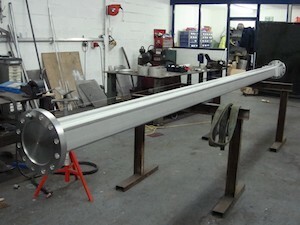 Design, manufacture and delivery to Finland. 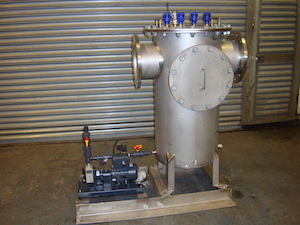 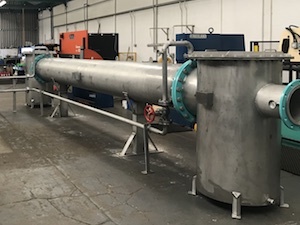 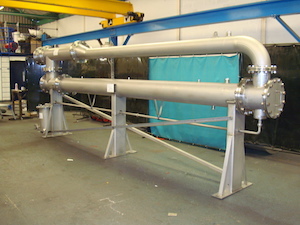 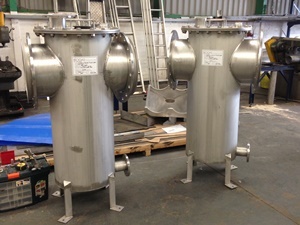 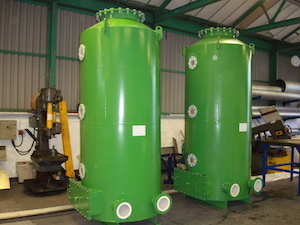 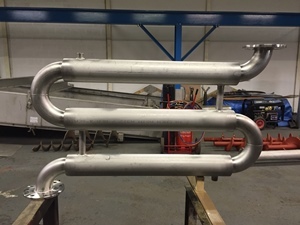 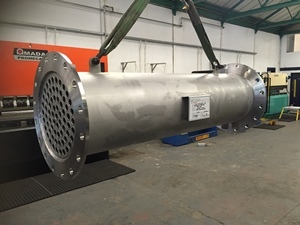 1no 500mm diameter condensate pot with 250mm NP10 flange connections, manufactured in 316 stainless steel. 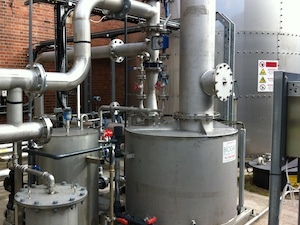 Water collected is discharged by a pump controlled by level probes fitted in the condensate pot.